Joseph Schueckler, the octogenarian owner of 200 acres of land in Allegany County, won his case in court against National Fuel and their plans to use eminent domain laws to build its Northern Access Pipeline from Pennsylvania to Ontario, over, under, and through 190 different waterways and streams. 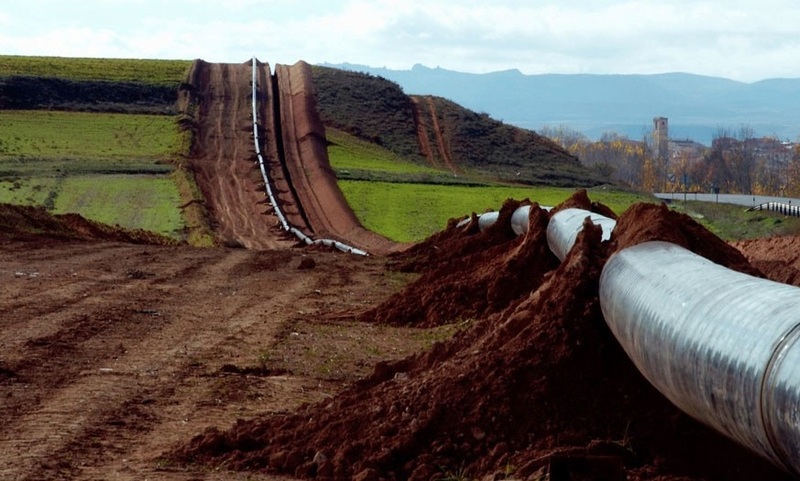 The pipeline was nixed last year by the state Department of Environmental Conservation, but that wouldn’t stop National Fuel from chipping away at easements in the meantime, hoping for a change of heart (or politics) within the state bureaucracies. But this month’s appellate court decision in Rochester stopped all of that, creating a ripple effect for every other landowner along the pipeline’s proposed 97-mile path. Good on the Schuecklers for recognizing that clean air and clean water are precious and for taking on a powerful corporation and prevailing. We’re hard-pressed to categorize this item as an “up” or a “down”: Let’s just call it the inevitable and continuing unfolding of a tragedy. This week attorney Steve Cohen, who represents the family of Rafael “Pito” Rivera—shot dead while fleeing Buffalo police early in the morning of September 12 in a parking lot at the corner of Massachusetts and Rhode Island streets—served a notice of claim against the Buffalo Police Department and the City of Buffalo. The notice of claim is preliminary to filing a civil suit alleging wrongful death, which Cohen says, when filed, will also name the officer who shot and killed Rivera, Elnur Karadzhaev. Karadzhaev’s fatal shots were captured on a surveillance camera owned by PUSH Buffalo, in whose parking lot Rivera died. That footage has been closely guarded by PUSH Buffalo, Rivera’s family, and police, though Cohen showed it to a handful of journalists a few days after Rivera’s death. Painful as that footage may be to watch, a public analysis of how and why Rivera was killed—and a balanced assessment of police training and practices—is not only healthy but necessary. We’re still in print. And that’s still nice. The latest installment in the hagiography of Louis Ciminelli in the Buffalo News over the weekend was a real doozy. The man found guilty of rigging a lucrative government contract was the subject of a long profile focusing on all the good he has done in the community over the decades—as a donor to cultural institutions, mostly—from inside the Buffalo Club, with nary a single negative or dissenting opinion. (Developer Larry Quinn did take issue with Ciminelli’s intransigent refusal to provide Buffalo’s school board with a full accounting of the $1 billion Joint Schools Reconstruction Project, but balanced that criticism with plenty of praise.) Having already reported on the dozens of letters sent to US District Court Judge Valerie Caproni seeking leniency in Ciminelli’s upcoming sentencing, the Buffalo News decided to give one of its favorite sons the holiday gift of a 2,500-word love letter. Allow us to counter with a reminder about that Joint Schools Reconstruction Project: LP Ciminelli won that lucrative contract by submitting a proposal that went far beyond a bid on construction work. LP Cimineli’s proposal suggested the company would act as a developer, helping to recruit and coordinate public and private investments in the neighborhoods surrounding the refurbished schools, so that the state’s massive investment would become a catalyst for community revitalization. Once LP Ciminelli won the contract, the company largely abandoned the more ambitious aspects of that proposal and treated the deal like a straight-up construction gig, albeit with a developer’s more lucrative profit margins built into it. Lou Ciminelli may have spread around a lot of the profits thus derived to worthy cultural institutions, burnishing his name in the process, but never forget: A lot of that money was ours to begin with, and we didn’t always get what we were supposed to be paying for. Plus, you know, he was found guilty of—not duped by, not careless in, not an accessory to, but guilty of—bid-rigging a huge public contract. Here at The Public, we were thrilled to hear the Pegulas have hired a consultant to consider the future of both New Era Field and KeyBank Center, including proposals for refurbishment and (in the case of the football stadium) replacement. We look forward to several years of hare-brained schemes, proposed urban death stars, blood feuds between real estate moguls, astronomical demands for public subsidies—all the accoutrement of a Western New York planning debate in which most participants have no real voice, no real access to the decision-making machinery. Because it’s stuff like this that keeps a paper like ours in business.